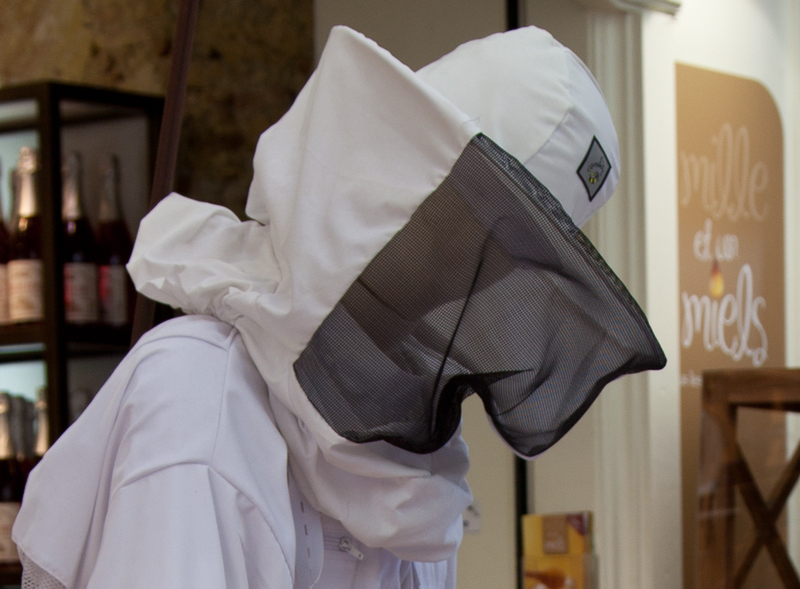 Not the latest fashion in Menton hats but a dummy to entice you into Menton's honey shop in the pedestrian street. 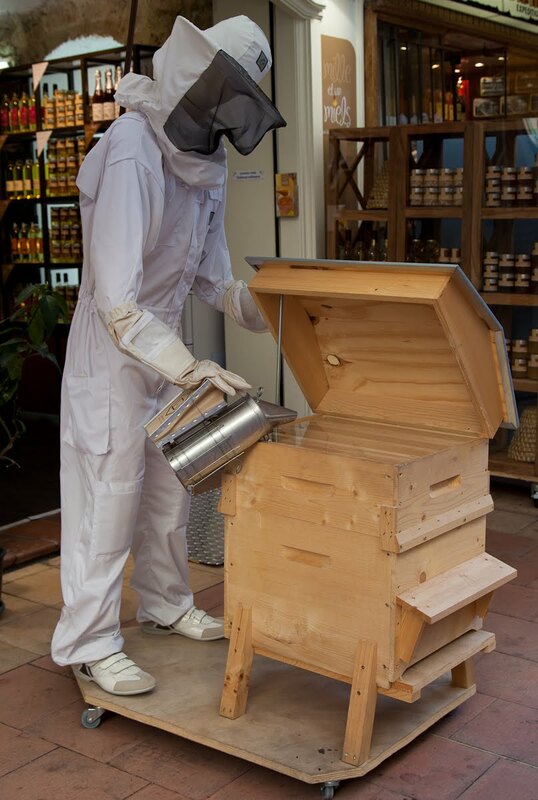 Ce n'est pas la dernière mode de chapeaux à Menton, mais un mannequin pour vous attirer dans la boutique du miel de Menton dans la rue piétonne. Interesting image. Wondered what it was at first! I do hope the advertising works well for the shop owners. Oh, I love this display! There are days I want one of these to wear to work.